How can we use PowerShell to interact with Power BI? What are the possibilities. What to think about? 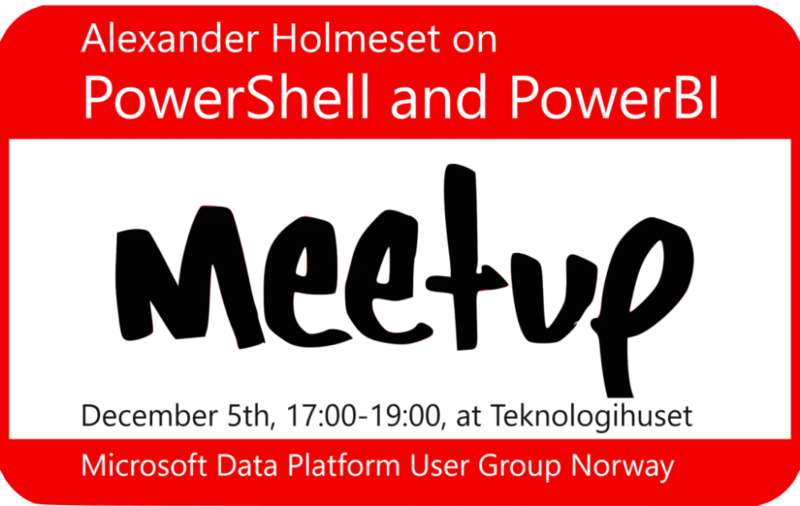 I will demonstrate how to get started using PowerShell/PowerBI and show some simple reports created in PowerBi and updated by PowerShell. I will also show how to setup this in Azure Automation so you are fully automated in the cloud. This user group is a meeting place for everyone interested in or working with the Microsoft Data Platform. Topics span from the core SQL Server engine, to Power BI, to cloud services in Azure – and everything in between! Our goals are to share knowledge, present new technologies, discuss and socialize. Whether you are a database administrator or database developer, a business intelligence professional, or a student: you’re welcome to join us!